Using healing crystals for their healing properties, as well as meditation is an ancient tradition with crystals being used for anything from pain relief and relaxation to improving concentration and increasing energy. The word ‘crystal’ originates from the ancient Greek ‘krystallos’, which means ‘ice’ and it was believed that rock crystal was in fact water frozen so entirely that it could no longer melt. Crystals, in the modern world come in all shapes, sizes and colours and have a number of different properties and functions. Below is a guide to the main forms of crystals used for healing, their gemstone form, properties and symbolic meanings. 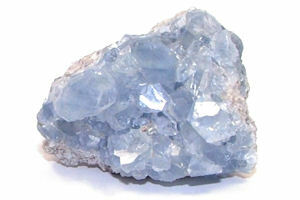 Celestite healing crystals are soft, clear blue, most notably formed by the evaporation of water from mineral deposits. 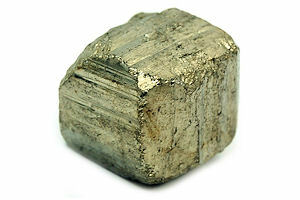 It is used to improve moods and to explore spirituality, making it an ideal crystal for use in meditation. Celestite crystal is also used for healing throat complaints. 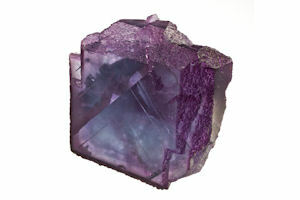 Fluorite, although available in a variety of colours, it is most commonly a violet shade and is the mineral form of calcium fluoride. Fluorite healing crystals are used to aid concentration and mental and physical co-ordination, as well as to link subtle energies with the practical aspects of consciousness. Rock Crystal comes in a variety of shapes sizes and can grow up to 7 metres long. It is a transparent crystal with a glassy appearance and can vary from clear to milky white. Rock crystal wands are the more popular shape, which are believed to be one of the most powerful healing stones. Iron Pyrite is a crystal cluster often referred to as ‘fool’s gold’ due to its pale yellow / brass colour and metallic sparkly appearance. It is used in particular to calm, cleanse and strengthen the digestive system. It is also know to promote energy, strength and vitality. 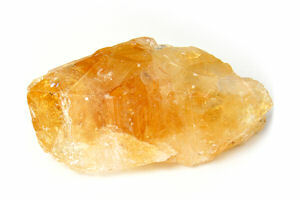 Citrine healing crystals are usually a bright, clear yellow, which is a type of quartz formed when violet amethyst is exposed to heat. It is used mainly for focusing the mind and aiding concentration, as well as for easing tension and restlessness, restoring calm and relieving emotional stress. Opal is a multi-coloured crystal, which belongs to the quartz crystal family. It has a high water content which makes it reflect different colours when put in light. 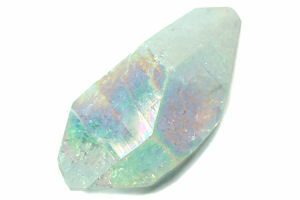 Its main use in crystal healing is to ease physical and emotional tension. It is also believed to enhance imagination and creativity. 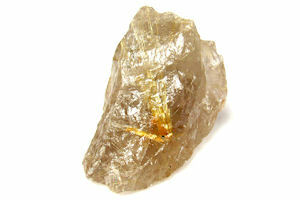 Rutilated Quartz is a clear or smoky crystal in a golden colour, which is reflected from the rutile crystals it contains. Its healing properties are connected to the nervous, digestive and immune systems and Rutilated Quartz healing crystals in particular are believed to help with broken and damaged tissues. 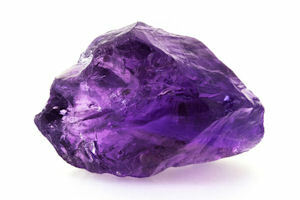 Amethyst is a violet coloured crystal, which is also a member of the quartz family. It is known as a universal healing stone and is often used in meditation. Amethyst healing crystals have calming properties, bringing balance to any situation. In particular it is used to calm the mind, soothe headaches and to ease tension and restlessness. 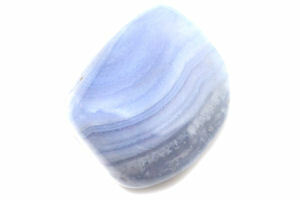 Blue Lace Agate is a type of blue quartz with a stripy appearance that is formed by swirls of white and blue crystals. 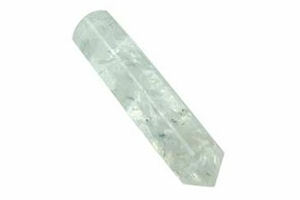 It is a soothing crystal and is used to calm, nurture and relieve and stress. It is also believed to inspire loyalty and trust. Amber is a pine resin that varies in colour and usually comes in rich yellow, orange and brown shades. It is has positive effects on the nervous system and is used for self-healing. 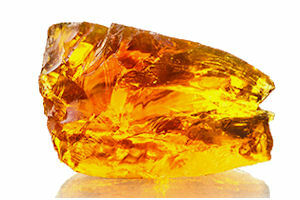 Amber is also recognised as an energising crystal to restore vitality and aid concentration.